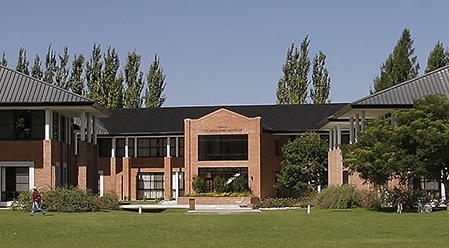 The Fox International Fellowship at the Whitney and Betty MacMillan Center for International and Area Studies at Yale has expanded its global network of partner institutions to include the University of San Andrés, Argentina. The Fox International Fellowship is a graduate student exchange program between Yale University and, with the newest addition, 20 world-renowned universities. Fox International Fellows are selected for their potential to become leaders in fields that are policy significant, historically informed, and socially meaningful. Fellows’ research projects and academic interests reflect the topics that many of the world’s major decision-makers face, as well as those that have the potential to open new channels of debate. There are more than 600 Fox Fellow alumni around the world. The inauguration of the exchange will take place at a conference scheduled for October 18, 2019. The theme of the conference will be “Poverty & Inequity” and feature keynote speakers from Yale and University of San Andrés. The Whitney and Betty MacMillan Center for International and Area Studies at Yale is the University’s focal point for promoting teaching and research on all aspects of international affairs, societies, and cultures around the world.